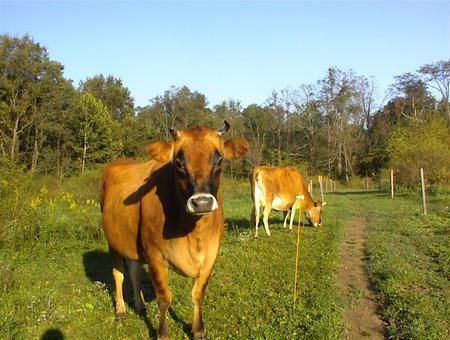 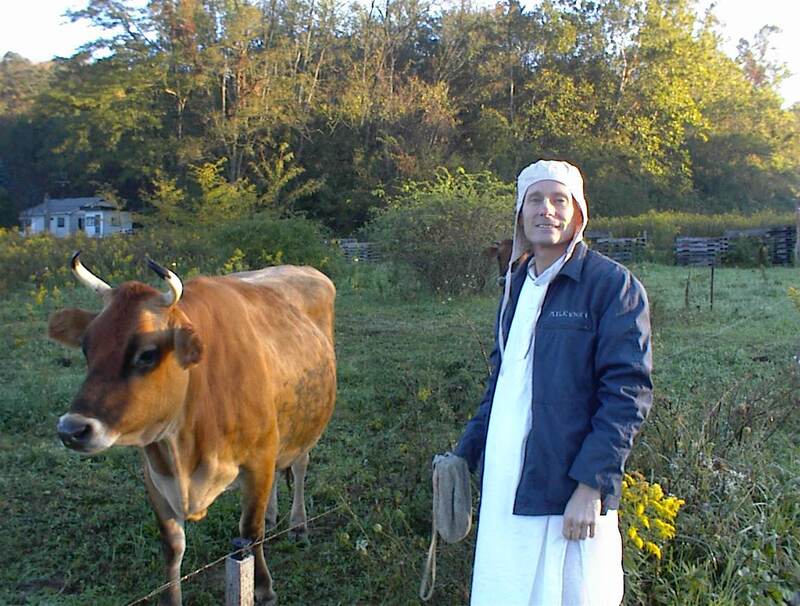 Protect A Cow went on the great adventure to bring Mother Cow to New York City, and now the devotees of Prabhupada's Tree have reciprocated by traveling from the Lower East Side to Protect A Cow Gita-Nagari Cow Sanctuary. 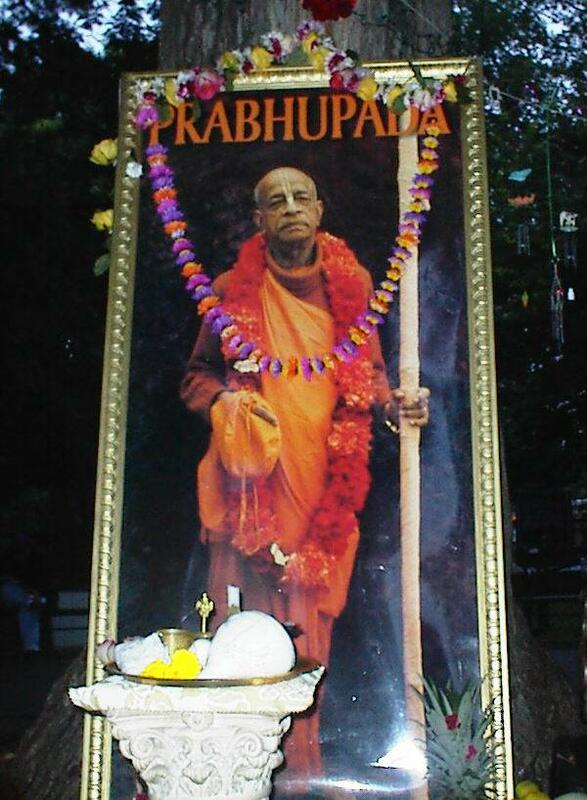 (BELOW, left) The Protect A Cow Altar with Srila Prabhupada, their Lordships Sri Sri Radha Damodara and Pancatattva. 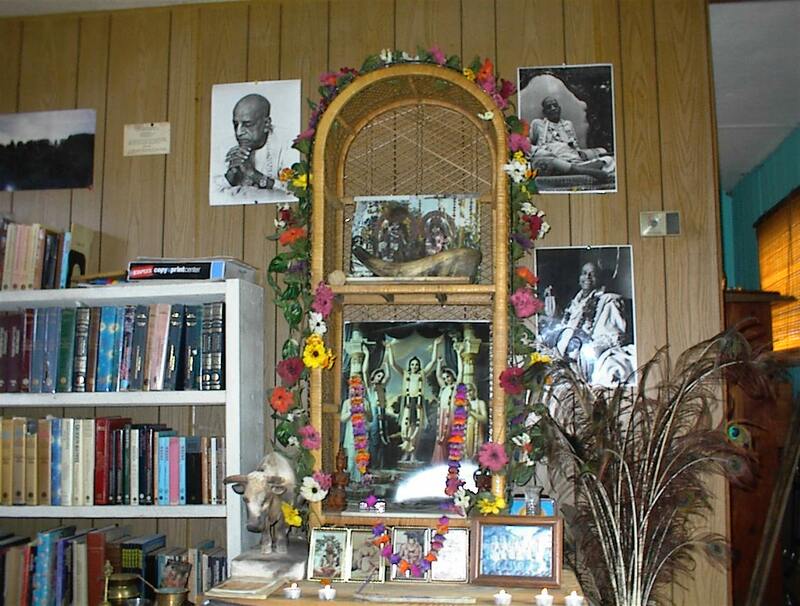 (BELOW, left) Here are the devotees bowing down to a picture of Radha Damodara. 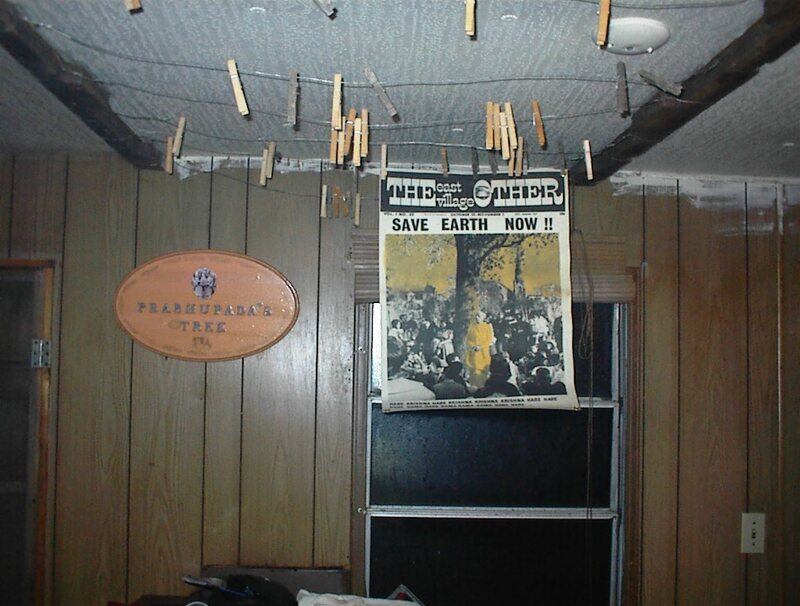 (BELOW, right) My most humble abode graced by the Prabhupada Tree plaque and poster from the East Village Other of Prabhupada under His Tree. 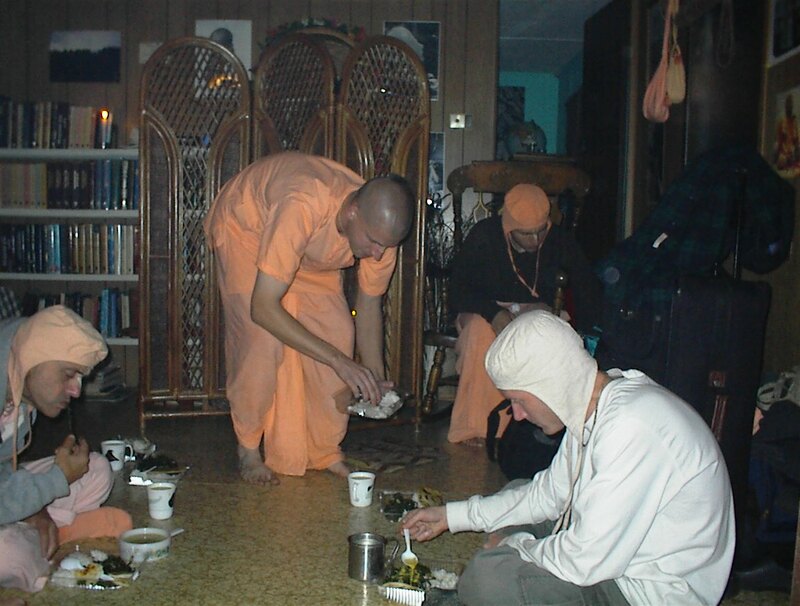 (BELOW, left) The devotees relishing prsadam. 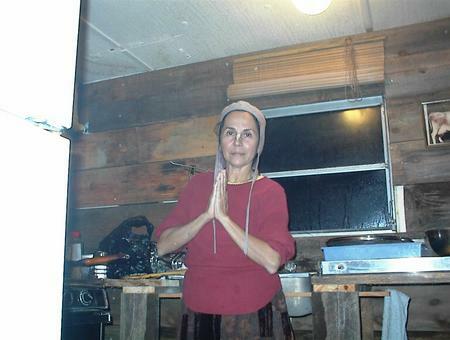 (BELOW, right) Mother Pia hard at work in the kitchen. (BELOW, left) Arotika in front of their Lordships with devotees of Prabhupada chanting and dancing in ecstasy. 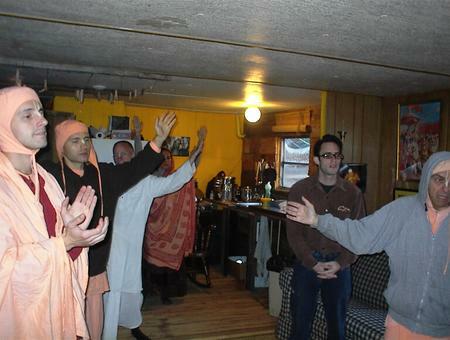 (BELOW, right) Kapi-Dwaj and Bhakta Noah. 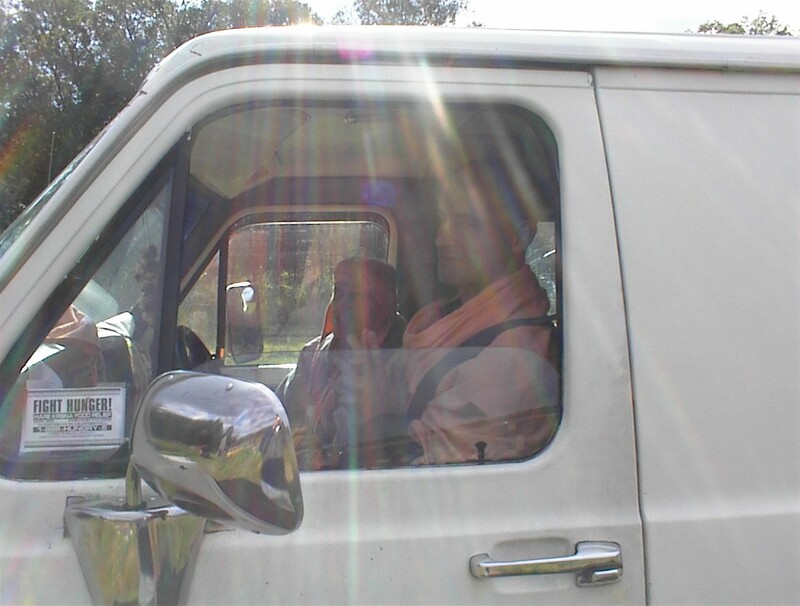 (BELOW, left) Bhakta Charles and Kamala. 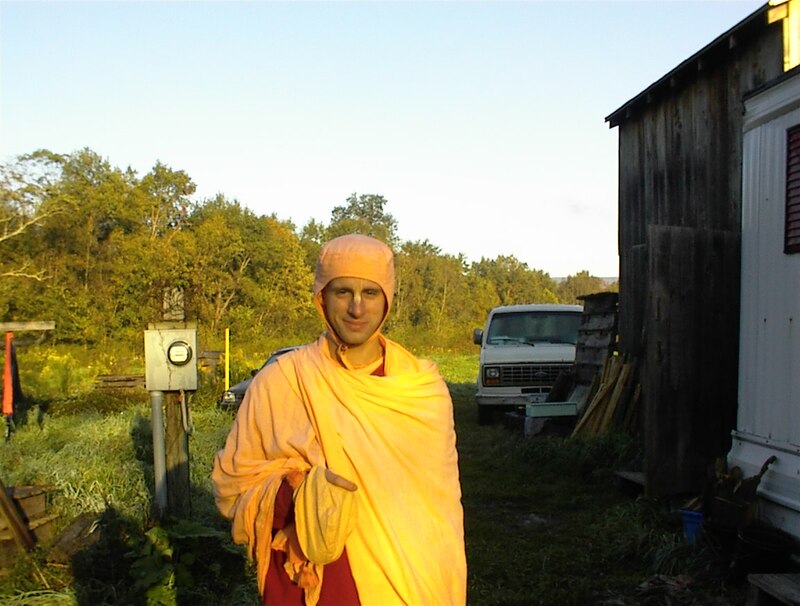 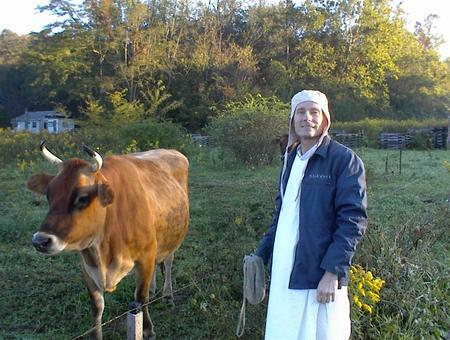 (BELOW, right) Bhakta Stephen, friend to the cows. 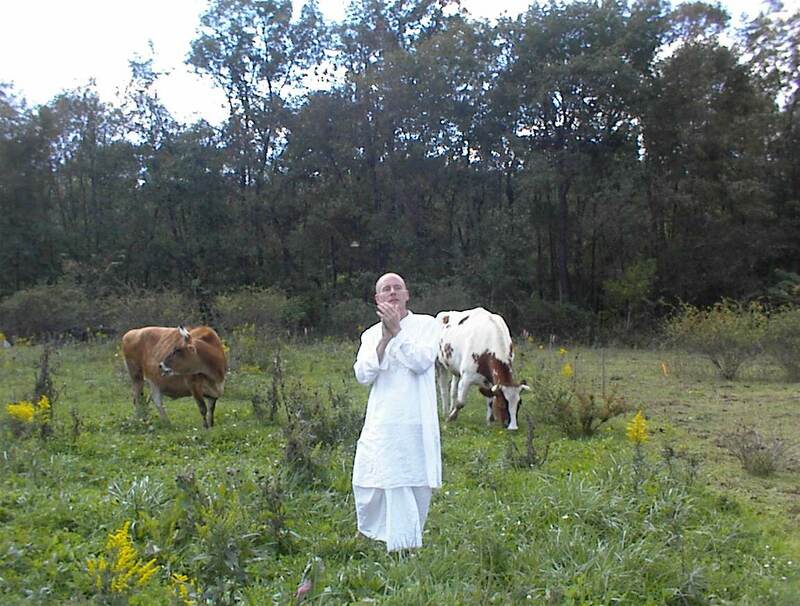 (BELOW, left) The cows felt so much pleasure to be with the devotees of Prabhupada. 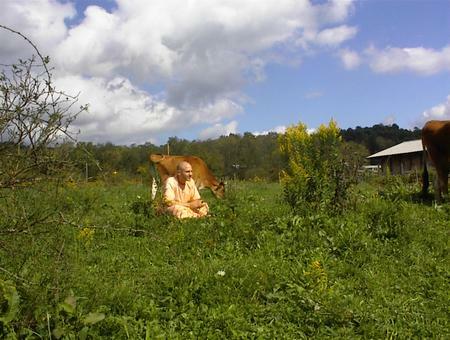 (BELOW) Hari Nama Sankirtan through the pastures with the cows. 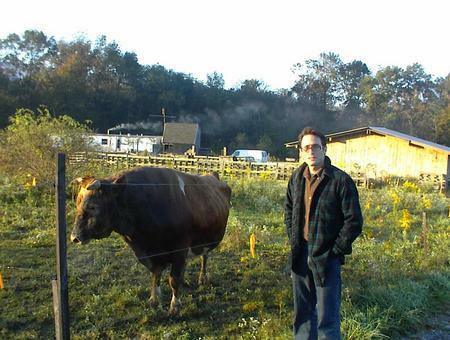 (BELOW, left) Meditating on the glories of Prabhupada Gita-Nagari style cow protection. 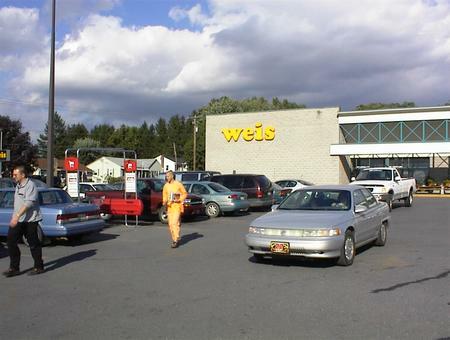 (BELOW, right) Book distribution in Mifflintown in front of Weis Market.